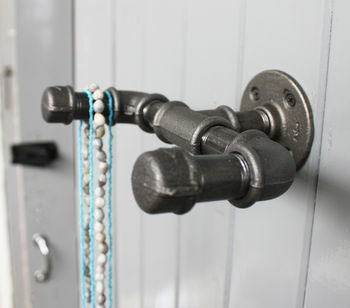 An industrial steel pipe dual hook..
Industrial, multifunctional and super sturdy. 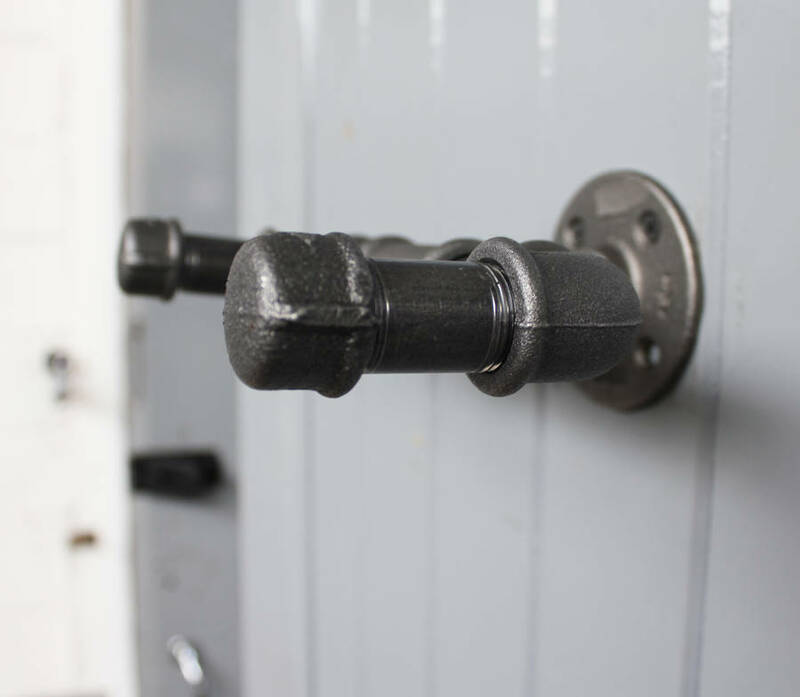 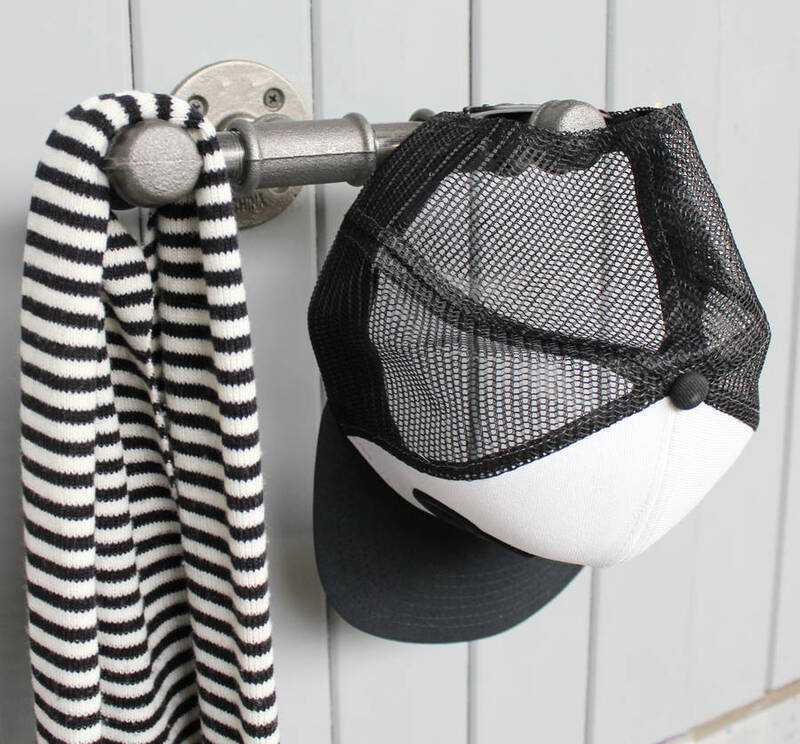 Our steel pipe dual hook can be used for anything from in the bathroom for towels, in the kitchen for tea towels and oven mitts, or as a coat rack. 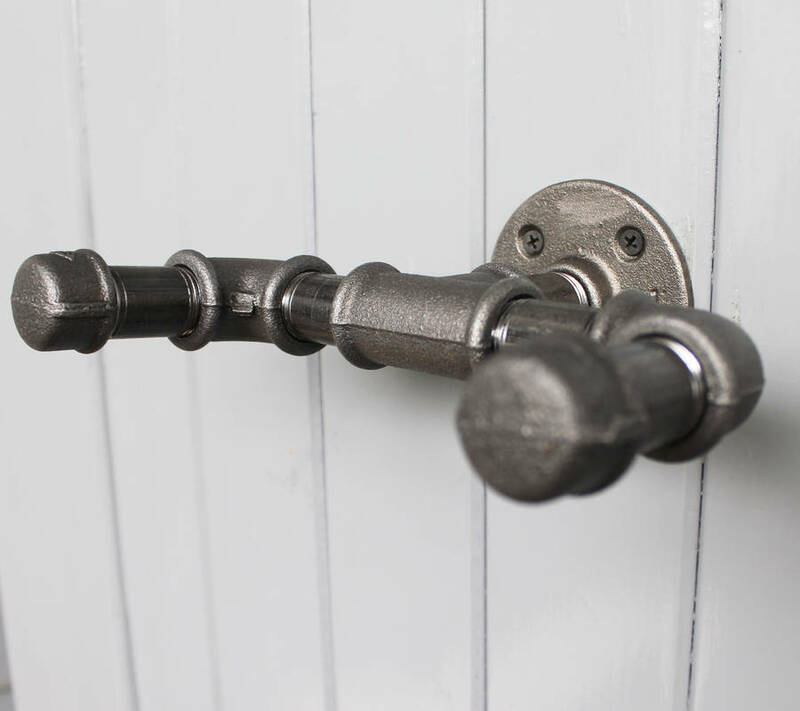 Its an urban, industrial design and infinitely useful in any room of the house.